Help us fundraise by shopping through the Easyfundraising app. See how below. 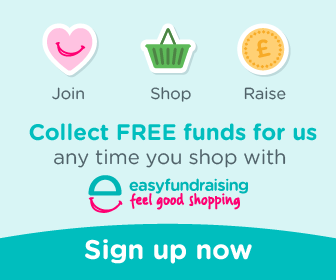 I’m collecting free donations for Village Green Children’s Centre every time I buy anything online with the UK’s leading online fundraising service, easyfundraising. With over 3.1 thousand shops and sites on board including Amazon, eBay, John Lewis, Sainsbury’s, Virgin Trains and Aviva, I can get donations on everything from my weekly shop to my annual holiday and it doesn’t cost me a penny extra! Join me and over 1.4 million other caring shoppers and collecting free donations too, and because I’ve invited you Village Green Children’s Centre will earn an extra £2. When you check out Village Green Children’s Centre gets a donation for no extra cost whatsoever! 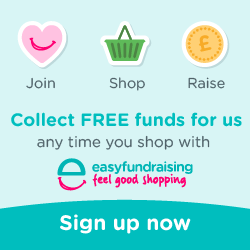 The shops and sites give easyfundraising a percentage of what you spend and they turn that into a donation, it’s that easy. There’s no catch or hidden charges and Village Green Children’s Centre will be really grateful for your donations.